Aspect Central is 800 metres north of the City CBD, 2 blocks from the Cairns Esplanade foreshore and a short 3km drive from both the Cairns Domestic and International Airport terminals. The property is 100% non smoking and offers convenience, privacy and comfort with attention to superior customer service. All guest rooms, conference facilities, restaurant and public areas at Aspect Central have access to the high speed wireless Broadband. 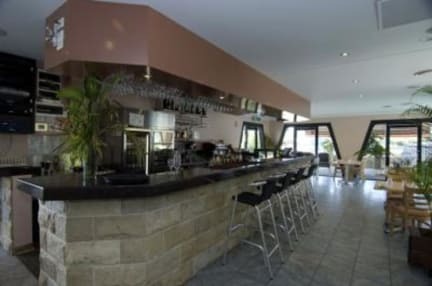 The property proves to be popular with all types of travellers from business clients, leisure guests, groups, tour organisations, government offices, and families alike. Each room has a modern and comfortable contemporary design that determines its own style and personality. For business or leisure why not escape to the comfort of the tastefully appointed guest rooms which are furnished to an exceptional standard and equipped with many lifestyle and business facilities. 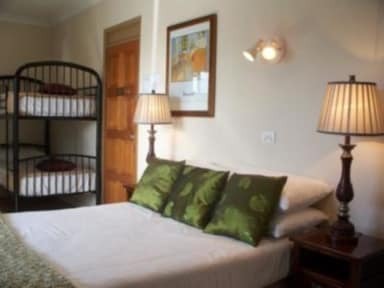 On offer is a range of guest rooms for families, groups, singles and couples. All suites have quality bed linen, premium guest amenities and are comfortably furnished with the necessary facilities required to ensure that all guests have a comfortable and restful stay. The property has over 30 individual character suites. Each one of them has its own personality which has been created by the choice of furniture, layout and paint decoration. Once inside, unique elements of the buildings design are evident throughout the property, which helps to establish an overall feeling of well-being and uniqueness. All rooms have been restyled recently with imported ceramic tiles and common area tableware. With the well equipped room facilities and the practical building layout ease of access and free movement is created. With live wild orchids, ferns, fan palms and native flora adorning the suites, Aspect Central provides a much sought after ambience and the comfort one would expect. The unique reef style pool was designed and built by a master craftsman. Every tile, shell, coral rock feature and the cascading waterfall displays were hand made and meticulously placed piece by piece in position to create an absolute breathtaking focal point of the property. The salt water pool creates a feeling of adventure and realism similar to the outer reef itself but on a much smaller scale. Aspect Central's on site food and beverage outlets are fully serviced by a well renowned team of award winning experts. The restaurant is open 7 days a week for breakfast, lunch and dinner and offers a myriad of first class dining options from local fresh seafood choices to innovative local and international meals. The restaurant delivers authentic alfresco dining experiences with an emphasis on Western fusion specialties. Whilst the restaurant offers semi formal dining, the Cafe and Alfresco section is in a bright relaxed casual setting by the reef style pool.